Bulb trim seals are used with doors, hatches, and enclosures. They have two sections: the bulb and the retainer. The bulb section provides sealing and insulation under compressive force. The trim or retainer section presses onto a flange or substrate. 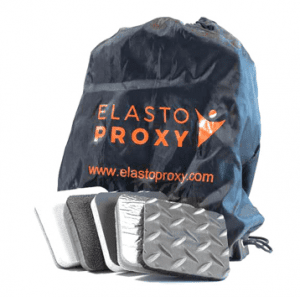 When a manufacturer of water filtration systems needed a rubber gate seal that would last longer and resist ultraviolet (UV) light, Elasto Proxy provided a value-added solution. This custom gasket doesn’t just resist exposure to water, contact with metal and concrete, and disinfection with UV light. The gate seal also supports ease-of-installation and is ready to ship from Elasto Proxy’s warehouse in Newmarket, Ontario. The 60-durometer EPDM lip seal (J-seal) that Elasto Proxy provides attaches to the bottom of a metal gate used in water treatment facilities. This rubber seal is also compressed against hard concrete floors and exposed to a range of temperatures. UV disinfection kills waterborne microbes that can make people sick, but ultraviolet light can also degrade rubber materials. Without reliable sealing and strong bonding, gaskets like this can’t meet business or technical requirements. 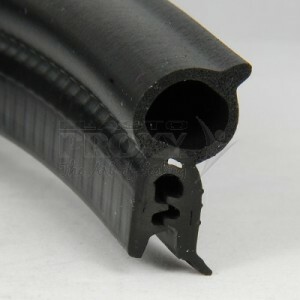 Cold bonding for rubber gaskets joins lengths of material without the use of heat. 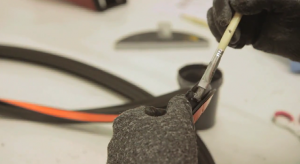 This bonding technique doesn’t require low-temperature conditions, but is called “cold” because no heat is applied to the gasket. By contrast, hot splicing requires either a conventional heat source or infrared (IR) light. 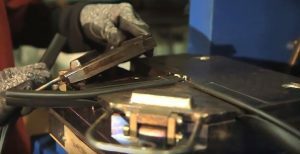 Vulcanization and molded corners for rubber gaskets also involve heating gasket materials. Molded corners for rubber gaskets are recommended for applications that require rounded joints, the ability to withstand stretching, or high cycle times. Molding is more expensive than hot splicing or vulcanization, but it’s the only way to create radisued corners. C-press injection molding, a bonding method for rubber gaskets, is ideal for low-to-medium volume quantities but suitable only for solid profiles. 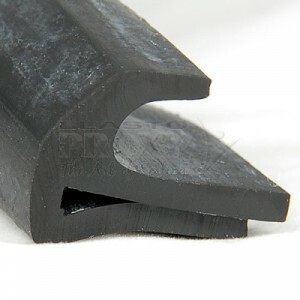 Hot splicing and vulcanizing for rubber gaskets are bonding techniques that use heat, pressure, and a film splice or uncured rubber to join the ends of profiles. Hot splicing uses thin polyethylene (PE) film and either a conventional heating source or infrared (IR) light. 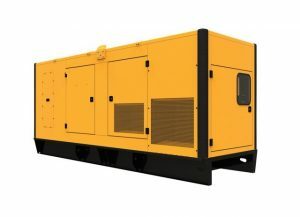 Vulcanization uses an uncured rubber compound, along with heat and pressure. Both hot splicing and vulcanization create chemical bonds at the molecular level.